Are you still bothered by the complicated traditional data transform methods? 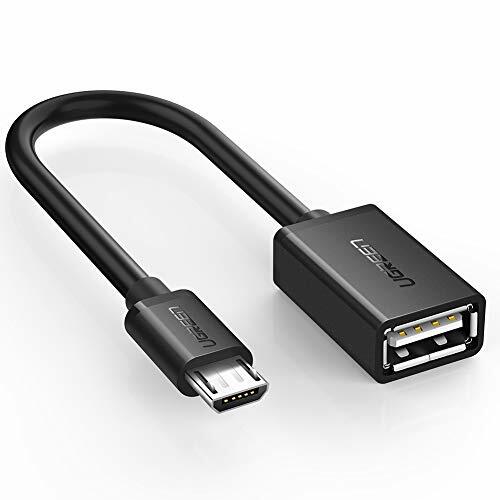 With this OTG cable,just connect your micro usb phone from male micro usb port and add the driver to female usb port,then you can send the files directly on your phone or tablets easily as a host. Allows you to connect devices,like flash drive,card reader,mouse or a keyboard to your Micro USB OTG capable tablet computer or Smartphone directly at speed up to 480Mbps,controlling your device with a mouse and keyboard. All in one,it offers a convenient way for quick and easy data reading and backup without host. 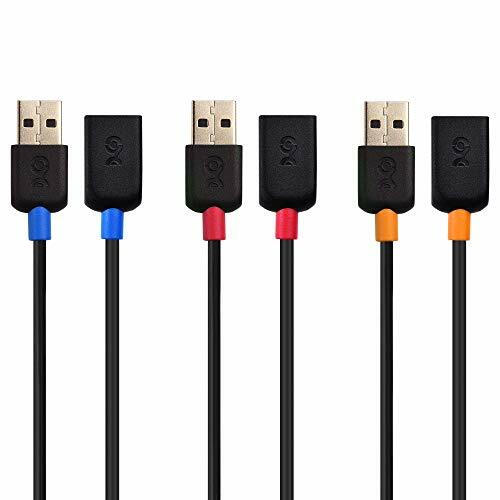 The most practical≠cessary on the go micro usb cable: Enabled android or windows micro usb phones or tablets work as PC host by connect female usb connector devices such as keyboard, game controller(PS3, PS4 etc. ), usb headphones,flash drives, SD/TF card reader, wireless mice and more. Note: Please make sure your cell phone/tablet can support OTG function before your purchase. 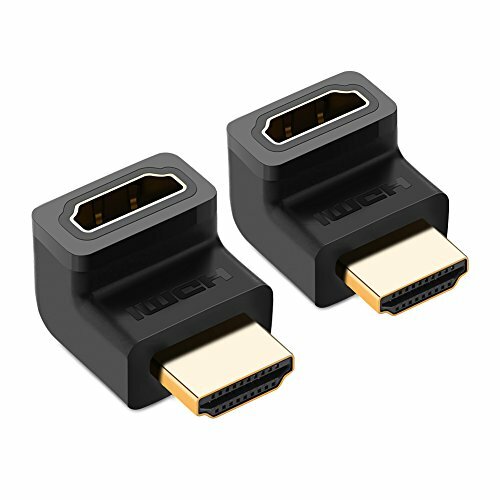 Compatible with DJI Spark/ Mavic Remote Controller, most OTG Micro USB connector phones and tablets such as Samsung Galaxy S7/S7 Edge/S6/S6 Edge/S5/S4/S3/Note 4/Note 5/Note 3/Note 2 /Avant, Samsung Tab S2/Tab A/Galaxy Tab E Lite, Google Nexus 6, ASUS Zen 8/VIvotab Note 8, HTC One M9, Dell, Motorala, Sony, Nokia, Lenovo Yoga/ThinkPad, Acer tab and more. Plug and Play, Easy to Use: A must have for transferring pics, music, video files when you can't transfer data via the cloud or a WiFi connection. It also can unlock your phone and get access to your phone throgh your mice when your phone screen is broken. Charging Phone for Emergency: The phone on the OTG end is able to output the power to another phone on the other side through additional USB charging cable. NOTE: Do not support OTG and charging simultaneously. Backed by 18 months manufacturer warranty and lifetime friendly customer service. 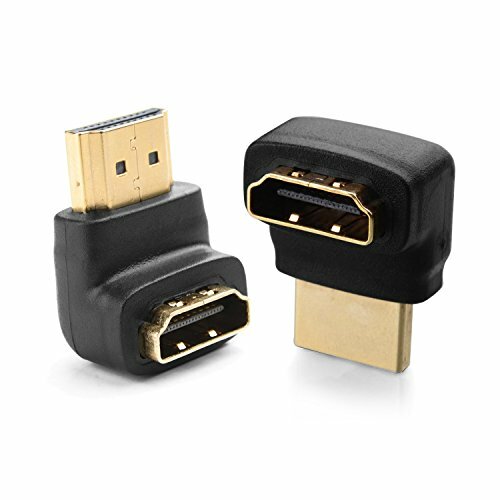 Future-proof your audio and video connection with these feature-filled Category 2 High Speed HDMI extension cables that are capable of carrying the increased bandwidth of HDMI 2.0. 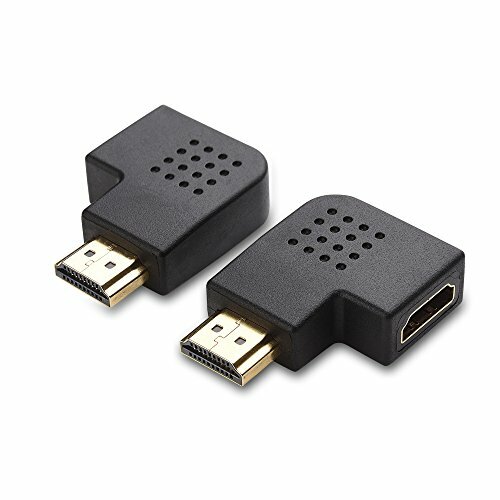 It is the perfect choice for extending the connection between HDTVs, monitors, or projectors and HDMI source devices such as computers, Blu-ray players, gaming consoles, AV receivers, and TV boxes. 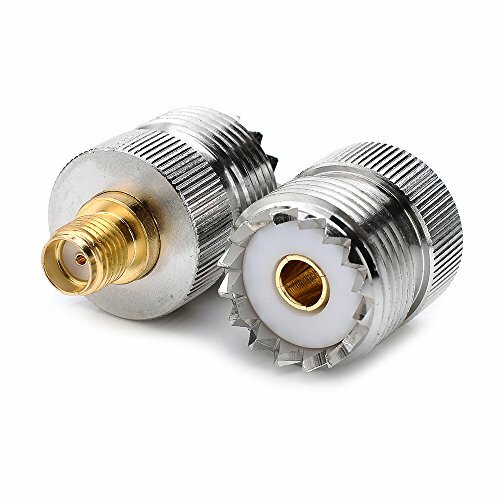 The combination of gold-plated connectors, bare copper conductors, and foil & braid shielding provides superior cable performance. Molded strain relief connectors and easy-grip treads increase durability and make plugging and unplugging a breeze. 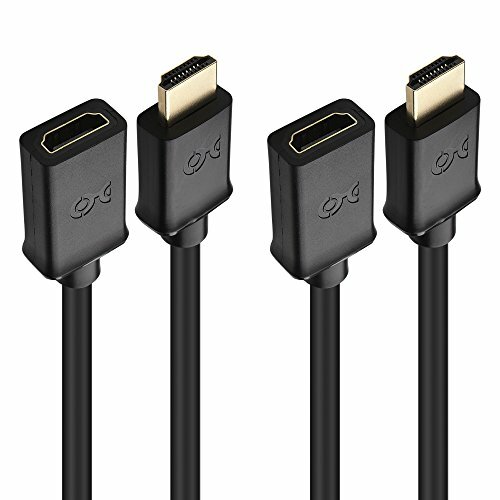 The Cable Matters 90 Degree and 270 Degree HDMI Adapters are an indispensable solution for any equipment or display in a tight space with little clearance. Connect an HDMI cable to a ceiling mounted projector or wall mounted TV in a confined space. Protect the ports on your valuable equipment and limit excessive bending of your HDMI cable. 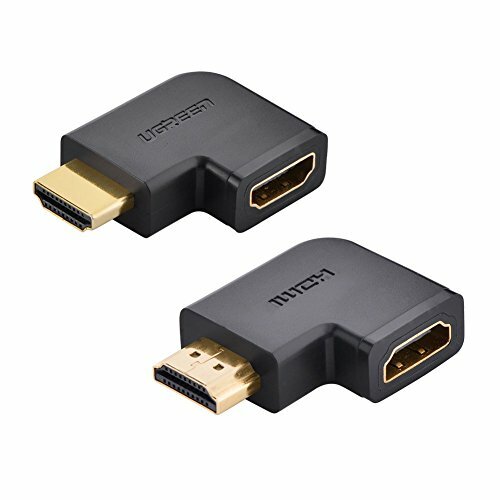 Experience the vibrant video and authentic audio supported by these HDMI adapters. This combo-pack includes a lifetime warranty for peace of mind when purchasing. The Cable Matters Hi-Speed USB 2.0 Extension Cable is an indispensable accessory for PC and Mac users to connect USB peripherals. Connect a mouse, keyboard or extend a USB 2.0 cable to a printer. Hi-Speed USB 2.0 delivers data transfer speed at up to 480 Mbps that is sufficient for many USB peripheral devices. USB 3.0 dongles for a mouse or keyboard transmitting at the 2.4 GHz range can cause interference with other USB devices. Connect a USB 2.0 extension cable to eliminate this problem. 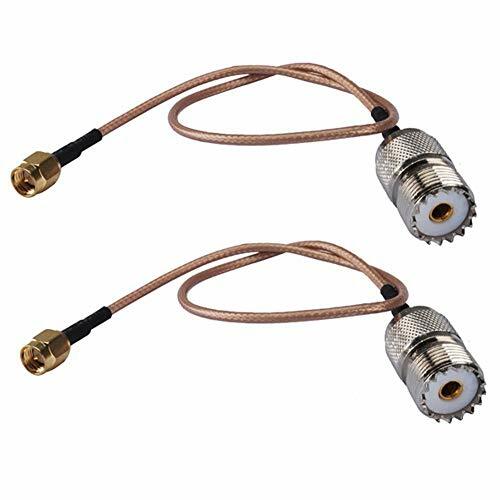 The combination of gold-plated connectors, bare copper conductors, and foil & braid shielding provides superior cable performance and error-free data transmission. The Cable Matters Angled HDMI Adapters avoid bending HDMI cables and relief the strain on HDMI ports to protect your cable and device. As we know there is no 3.5mm audio port on new version Apple phone so we can't charge and play music simultaneously, XIIVIO aux and charger cord is specially designed for iPhone X / iPhone 8 / 8 Plus / iPhone 7 / 7 Plus, it allows you to charge and listen to music at the same time, so you can enjoy freedom of listening to music and charge your phone all at once. The cord is strong nylon braided and the ends are durable reinforced aluminum alloy which ensures the long time using, you don't have to worry the cable will be broken easily. 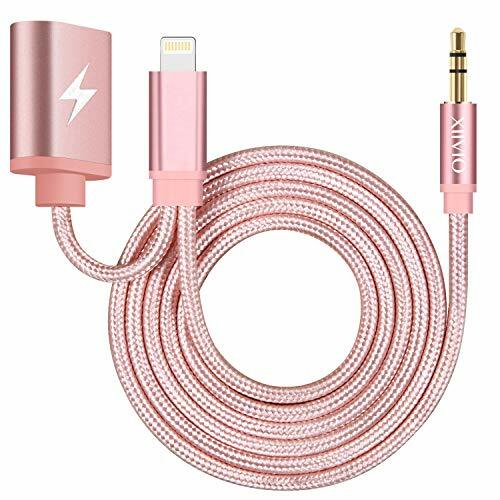 Perfect length: 3.3ft aux cable: The length of XIIVIO lightning to 3.5mm car aux cable is 3.3ft, which is perfect for your daily using, you can sit down, stand up and lie while using, and you use it in the office, at home or outside. 3.5mm audio port is used to connect with car stereo, bluetooth speaker, Hi-Fi, headphone, TV sound bar and more stereo devices. We provide 30-day money back guarantee and 12-month limited product warranty. Please feel free to contact us if you have any problem, we will reply you within 24 hours. [Charging and Listening to Music Simultaneously] iPhone X / 8 / 8 Plus / 7 / 7 Plus don't have a auxiliary jack so you can't charge your phone and listen to music at the same time, well this iPhone audio and charger adapter cable solves this issue entirely. It allows to charge your phone while still being able to plug it into car stereo / headphone / buletooth speaker with a 3.5mm port for playing music, so don't have to worry about killing your battery while listening to music. 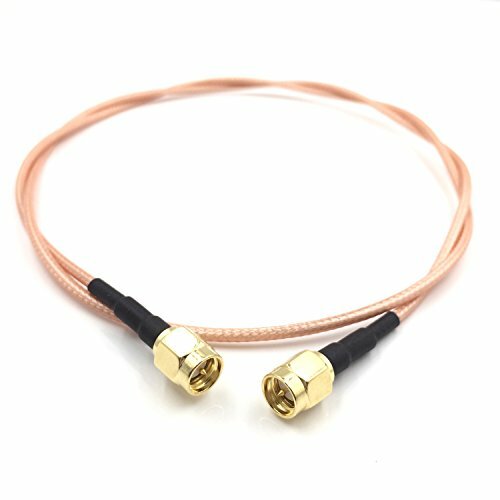 [Efficient Transmission and Stable Signal] High quality CODEC audio chip, 24k gold-plated jack and copper center conductor offer superior signal transfer and keep out annoying electrical interference which distort audio signals. [Nylon Braided Wire and Aluminum Alloy Connector] Nylon braided wire makes it tangle-free and extremely convenient to storage, aluminum alloy connectors also make it more durable and not easy be broken, ensuring the long time using. 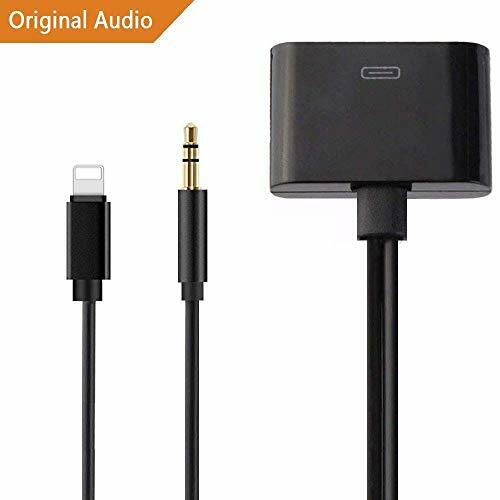 [Wide Compatibility and Notice] This charger and headphone adapter is compatible with iPhone X / iPhone 8 / 8 Plus / iPhone 7 / 7 Plus / iPhone 6 / 6 Plus and other iOS devices running iOS 10 or iOS 11 or iOS 12. Just note that this cable is male 3.5mm end so you must have headphone with a 3.5mm port and NOT an attached cord or iPhone headphone. The Cable Matters Flat Vertical 90 Degree and 270 Degree HDMI Adapters are an indispensable solution for any equipment or display in a tight space with little clearance. Connect an HDMI cable to a ceiling mounted projector or wall mounted TV in a confined space. - XLR PIN-2 goes to the center contact of the RCA, this carries the signal. - XLR PIN-1 and 3 are tied together and carry the Ground via the Chassis, this connects to the Surround of the RCA. 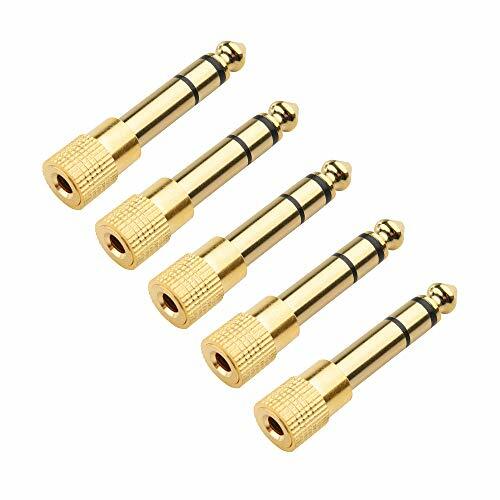 High Quality Metal RCA Female to 3 PIN XLR Male Adaptor. 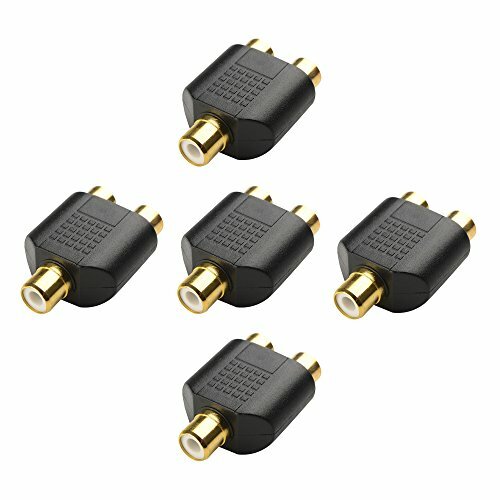 This adaptor is designed to adapt a phone plug to an XLR input, XLR pin 3 is grounded resulting in an unbalanced signal. Connection A: 3-Pin XLR Male Plug ; Connection B: RCA Female Jack. XLR PIN-1 and 3 are tied together and carry the Ground via the Chassis, this connects to the Surround of the RCA. Each order Contains 1 Piece. Picture demonstrated adapter's front and back connection. 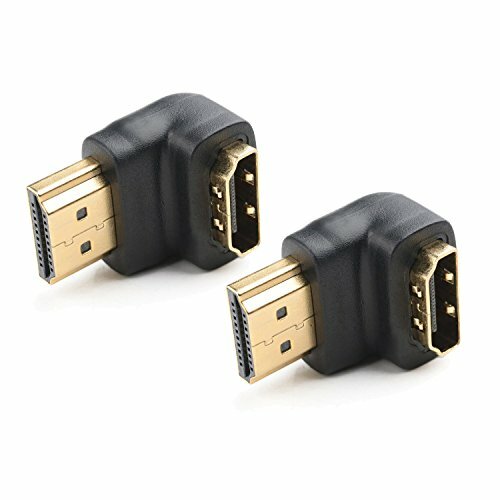 UGREEN 20110P 2Pack High Speed HDMI Male to Female right angled adapter allows you a convenient way to reach those hard-to-get-to-places. This HDM port saver gives you the flexibility you need without risking bending your HDMI cables excessively which may damage the cable or even worse the ports on your expensive equipment. Moreover, it also helps ease the strain at the point of connection to eliminate damage to the HDMI ports on your devices. 8-Pin Male to 30-Pin Female Charger Adapter Converter for 8-Pin devices. 100% Brand New. Built with high quality materials. Tested with strict quality control standards. Light Weight, Perfect for Travel. 1 x 8-Pin Male to 30-Pin Adapter, Money Back Warranty & Friendly Customer Service. Compatible with all iOS devices. The super slim 8-Pin connector head slots into virtually all case openings. It Supports iOS 9 and above and lets you connect your latest 8-pin devices to older 30-pin devices, components or charging docks with 30-Pin ports. Note: Charge and sync data with ease, Also Support Audio or Video. 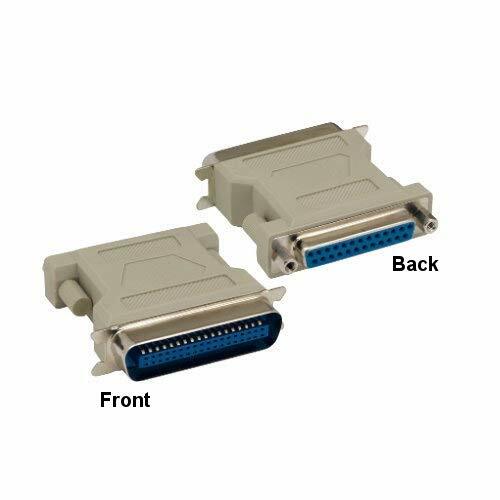 What you get: 1 x 8-Pin Male to 30-Pin Adapter, Money Back Warranty & Friendly Customer Service. Applications: RF applications, router, antennas, signal enhancer, Wireless LAN Devices etc. 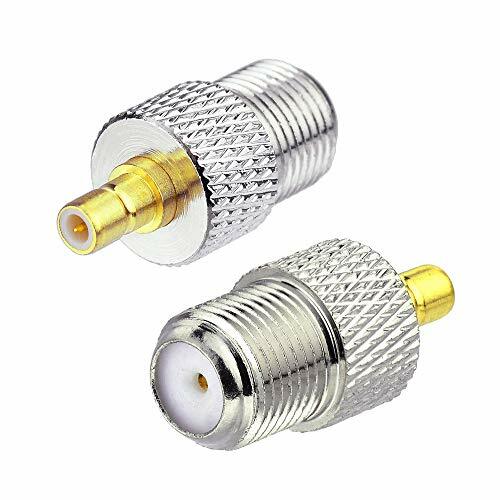 SMA to BNC RF Coax Cable, Usually used in Antennas, Wireless LAN Devices , Coaxial cable, Wi-Fi Radios External Antenna etc. Cable: Military quality RG316 cable, approx. 20 inch. 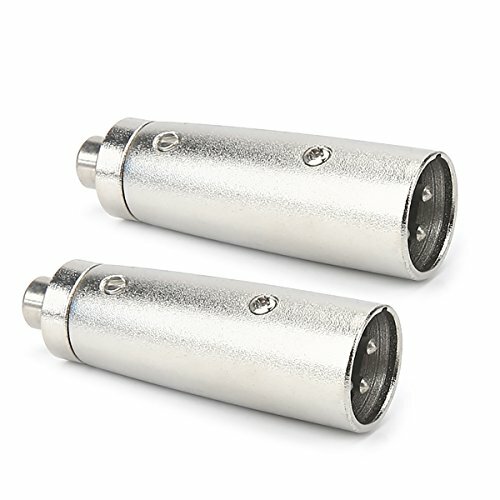 Connector Material: Copper conductor, great connectivity, to ensure high quality communication. 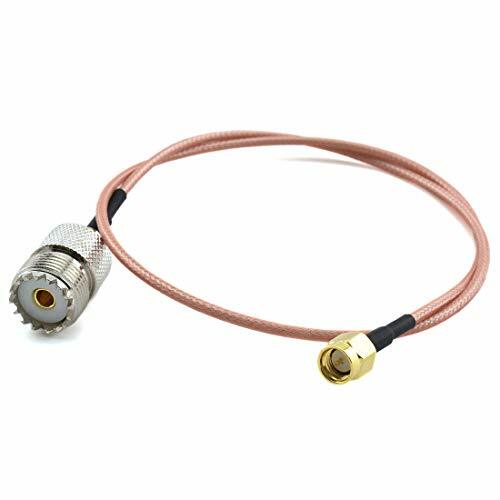 Package Include: 1x 20 inch SMA male to BNC male cable. Made of high quality RG316 cable and pure copper SMA Male to SMA Male adapter, high temperature resistance, acid resistance, corrosion resistance, high frequency low loss and low impedance, make sure your equipment high quality communication to provide better reception in no signal areas. 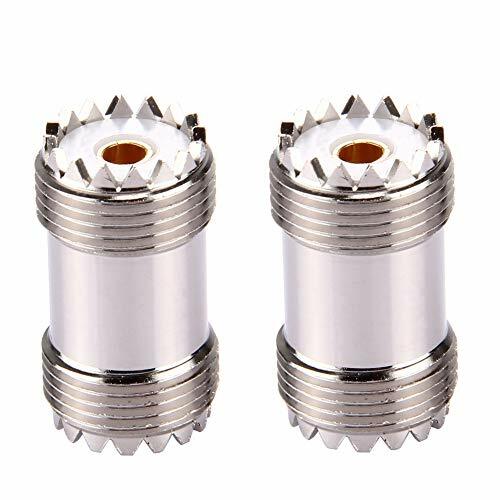 Connector type: SMA male plug to SMA male plug SMA connector Material: pure copper (NOT ALLOY) Cable Type: RG316 50 ohm high temperature cable Cable diameter:2.5mm Shelter: silver plated copper braid, Insulation is PTFE. Resistance: 50 , Max Frequency: 3000MHz Type: patch cord, refit cable, wire jumper Applications: router, antenna, signal enhancer, wireless adapter and more. In order to provide an one-stop service, we proudly offer cable assemblies for our customers. Each cable assembly is fully inspected to ensure that it meets the requirements specified. We do it according to customers' requirements. If you would like to discuss your requirements or receive a quotation, please feel free to contact us. 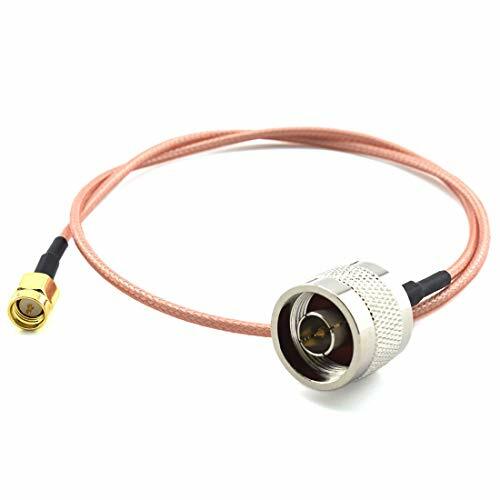 Pure copper(NOT ALLOY)with great connectivity SMA male to SMA male adapter connector cable, make sure your equipment high quality communication to provide better reception in no signal areas. 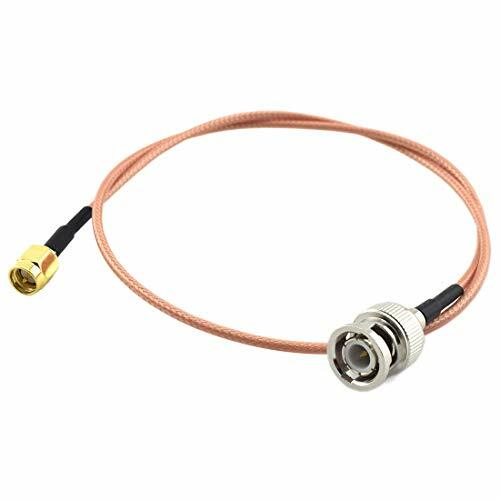 Cable length is 50cm/20inches 50ohm impedance flexiable coaxial low loss RG316 military quality cable. High temperature resistance, acid resistance, corrosion resistance, high frequency low loss and low impedance. Wide applicability, great for for router, booster and WLAN Wifi antenna convertion, antenna extender Jumper Radio frequency (RF) coax wire. SMA to UHF SO-239 RF Coax Cable, Usually used in Antennas, Wireless LAN Devices , Coaxial cable, Wi-Fi Radios External Antenna etc. Cable: Military quality RG316 cable, approx. 20 inches/ 50cm length. 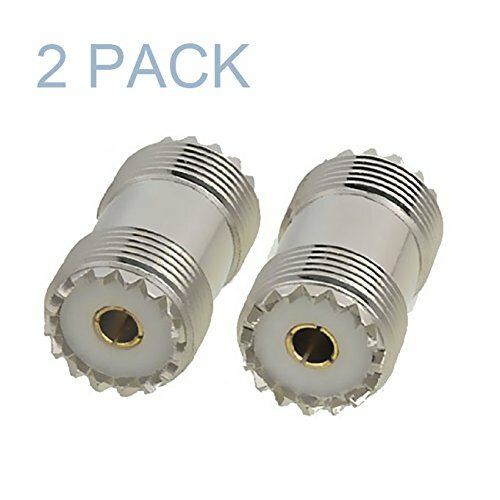 Connector Material: Pure brass with great connectivity, to ensure high quality communication. Applications: router, antenna, signal enhancer, wireless adapter etc. High temperature high frequency low loss and low impedance cable, to ensure high quality communication. 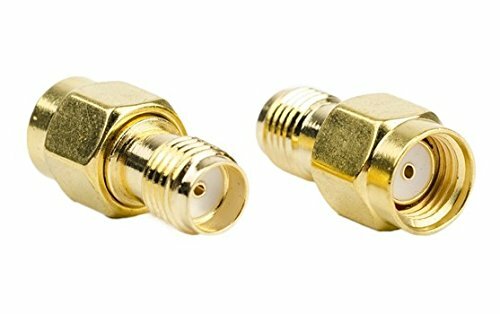 N Male to SMA Male RF Coaxial Cable Adapter for router, antenna, signal enhancer, wireless adapter LANs etc. Connecting Line: 50cm(20 inch) 50 Ohm impedance RG316 military quality cable. Feature: High temperature resistance, acid resisitance, corrosion resistance, high frequency low loss and low impedance, wide applicability. 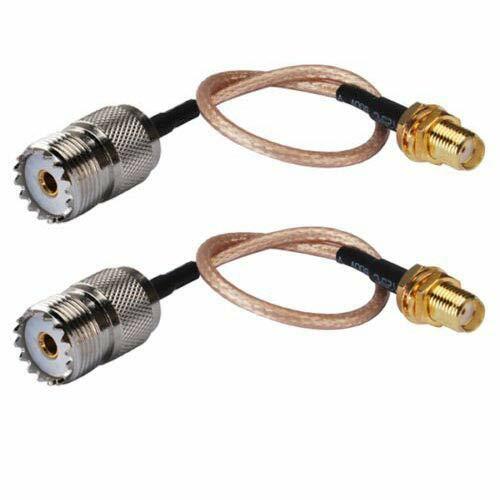 Package Include: 1 Pack RG316 N Male to SMA Male RF Coax adapter with cable. Applications :Suitable for Antennas, Broadcast, Radios, Wi-Fi, Telecom, Coaxial cable, LMR, Wireless LAN Devices, CCTV, Microwave Applications and Digital Communication System etc. 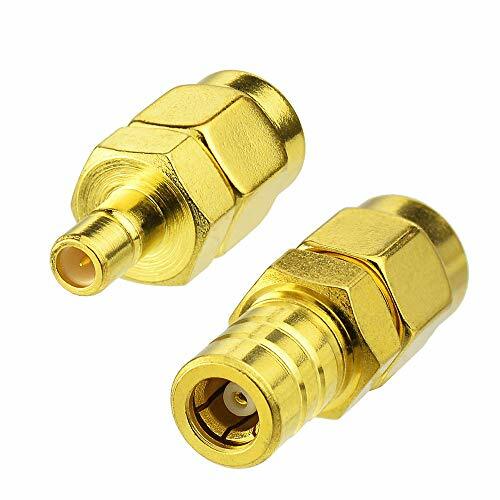 Package included :1Pcs SMA Male To SMB Male Coax Adapter and 1pcs SMA Female To SMB Female Coax Adapter This combination is very suitable for the consideration of both male and female joints. Never worry about any security problems. We are confident in the quality of our adapter and willing to provide 1 MONTHS Replacement Warranty and 100% Satisfaction Guarantee. If you unfortunately get a defective one, please contact our customer support. Semoic a legal trade mark, has been registered. Only those who are authorized are available to sell items under Semoic. Semoic will bring you joyful shopping experience. 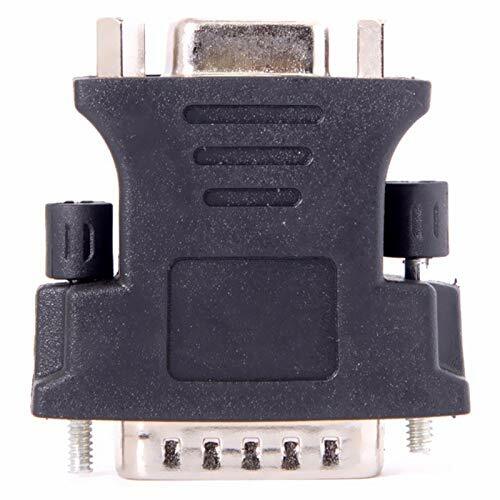 Colour: Black material: plastic Package Contents: 1*DMS Male to VGA Extension Adapter Only the above package content, other products are not included. Note: Light shooting and different displays may cause the color of the item in the picture a little different from the real thing. The measurement allowed error is +/- 1-3cm. 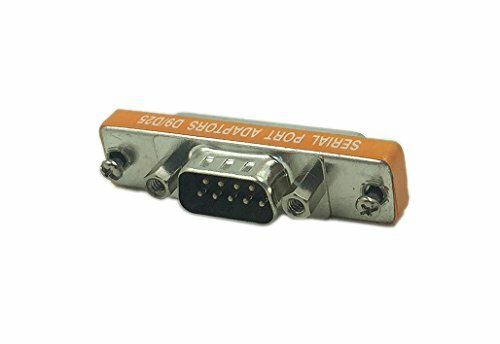 Will allow you to connect your DMS-59 video card to standard vga connector! Please do your own additional application research before buying, we cannot provide technical support for programmingInstructions, manuals, install disks, additional hardware, or software are not included unless specified in this listing.